Watch the virtual tour of Your Own Studio! 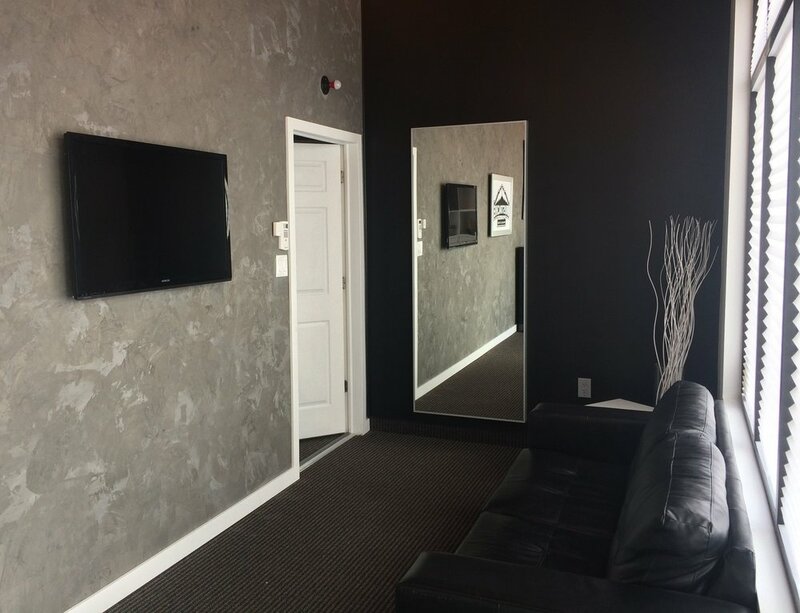 Your Own Studio offers a lobby, studio, equipment/makeup room, and restroom available to you and your clients. The lobby is modern, sleek, and ready for personal branding! The lobby is modern, sleek, and white-labeled making it the perfect fit any company. We offer comfy seating for clients to lounge or meetings to take place. There's interchangeable signage customized with your logo or design and a 42" flat screen television that displays your portfolio. There's even a red light to indicate a recording is in session. 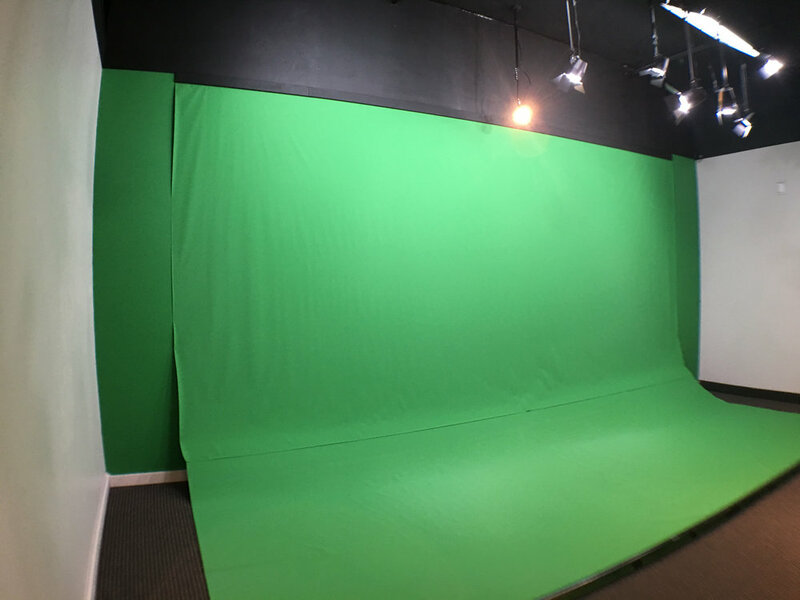 The green screen is 20'x10'x10' and pre-lit. 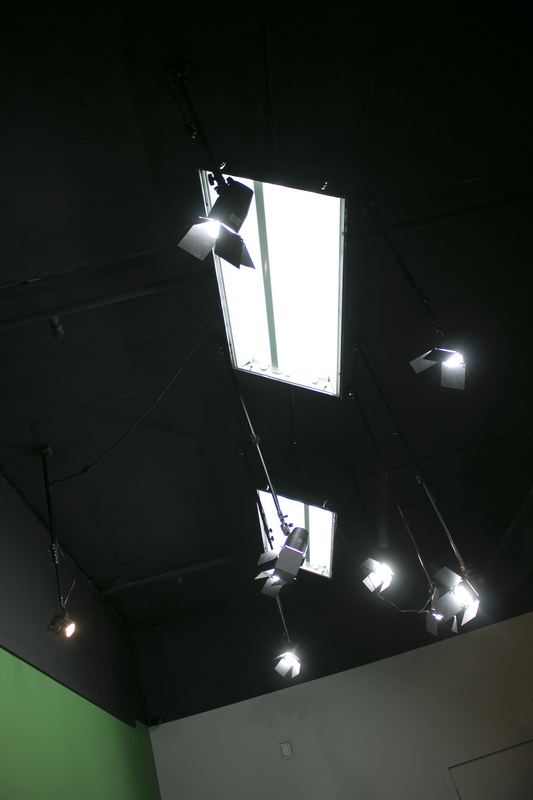 The studio features a 20'x10'x10' green screen that is pre-lit for an easy even key. 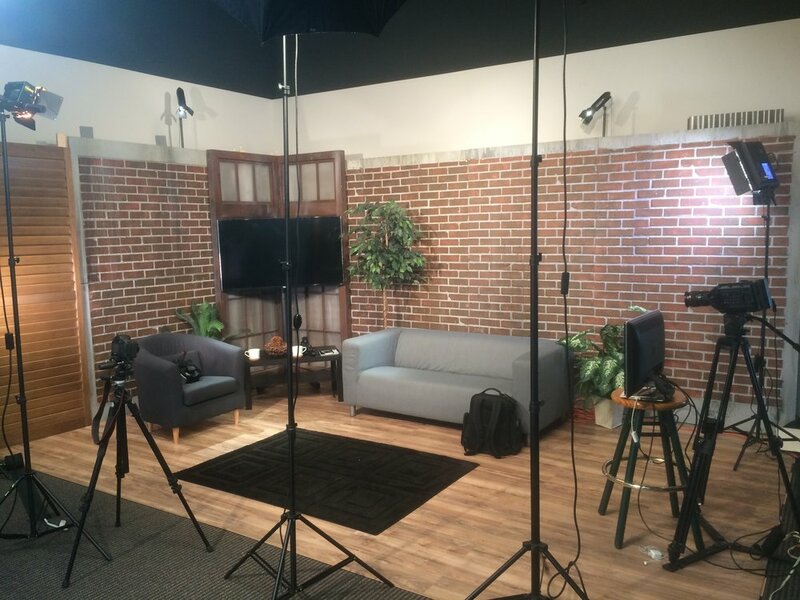 The studio is dressed up and ready for a shoot! With faux brick or faux corrugated metal as a backdrop and wooden floors, this set is modern and tasteful. Perfect for any shoot! 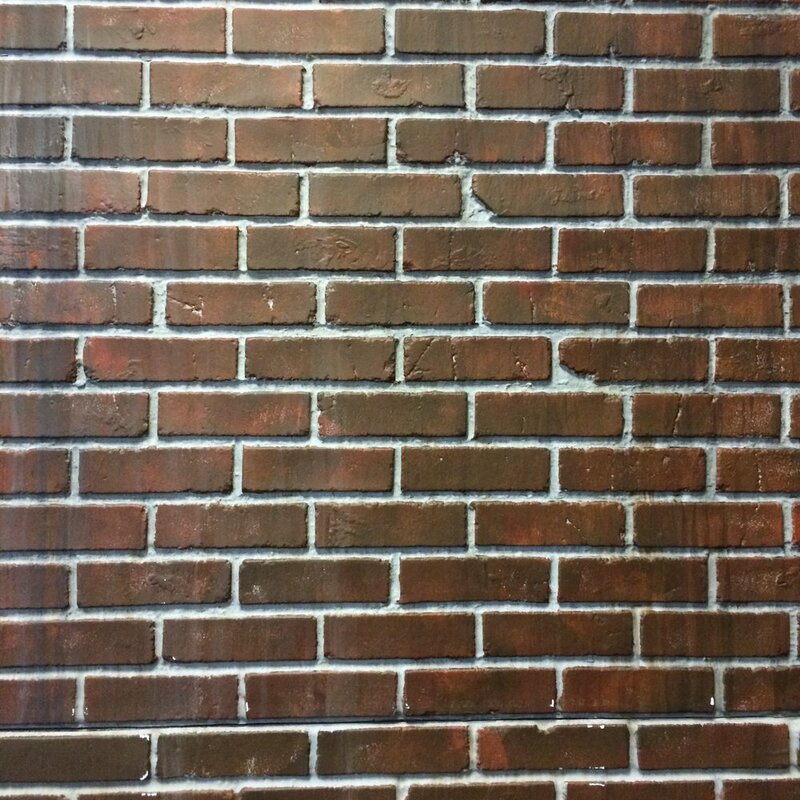 The white screen is set-up for a professional interview or product/service description. Easy to set up or remove, this white screen is clean, crisp, and perfect for professional shoots. For those that prefer paper to muslin, there is a white paper backdrop available as well. The gear room/make-up station is packed with equipment. No need to lug all your gear to Your Own Studio; there's plenty here ready to go! Your Own Studio is located in a quiet business park right off I-15. With customizable signage outside, your clients will know they're in the right place! There's plenty of parking throughout the day. Of course there's restroom available to you and your clients. We will contact you soon to coordinate the perfect time for you to come check out Your Own Studio!